My little sister graduated from high school! Last weekend was filled with family events, seeing people I hadn't seen since I was in high school, and being asked what's next for me after I graduate in December. Bend weather is notoriously hard to predict, so I was glad it was sunny enough for me to be comfortable in the dress I brought for the occasion. 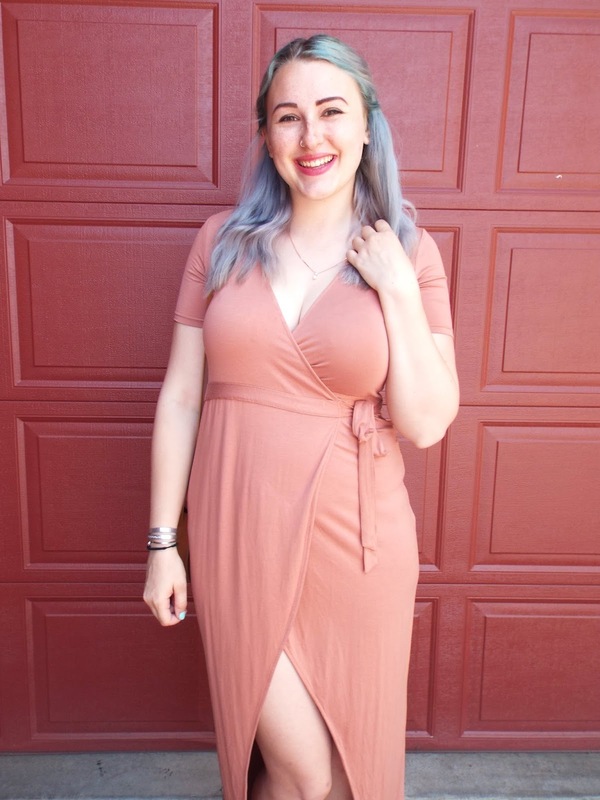 This is one of my favorite recent purchases: it was $12.50 at Crossroads, the color is perfect for the summer (and to go with my hair), and I've always wanted a tulip wrap dress like this. I'm looking forward to wearing it for another, less momentous occasion.